We offer a range of training packages (see the section of our website for professionals). 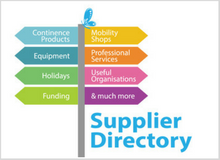 Also, we work in collaboration with the NHS, third sector organisations and the commercial sector to promote improvements in continence care across the UK. We are involved in projects with NHS England and National Institute of Clinical Excellence (NICE) to improve continence services within the National agenda. We can be contacted on the National Confidential Bladder and Bowel UK helpline (0161 607 8219) or via email at bladderandboweluk@disabledliving.co.uk. If there is no one available to help you, please leave your contact details and we will get back to you. Although this may not be the same day.